In case you haven’t noticed, the ukulele has made a big comeback in the music and music education realms lately, and RGT has been moving into this arena with a new series of books and exams. One of the main reasons that the uke is reaching a wider audience is the success of players such as Ben Rouse, who has built a strong following through his inventive pop and rock covers which are posted on his YouTube channel. 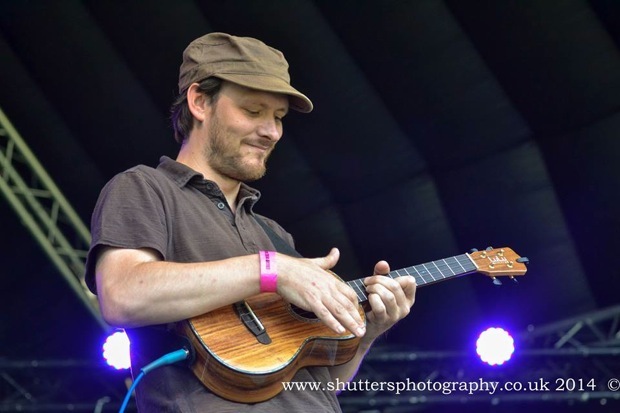 We recently sat down with Ben to talk about why he plays ukulele, his breakout online, and his upcoming appearance at the 2014 RGT Conference in London. To learn more about Ben’s uke playing, check out the Ben Uke Rouse Facebook Page. RGT: How did you first start playing the ukulele? Did you start on guitar and transition or just dive right into the uke? Ben Rouse: I’ve been a pro rock guitarist most of my life, and started guitar at the age of 13. I first picked up a ukulele about seven years ago when working in a music shop at a time when the uke had just started taking off. But I didn’t really take it seriously till about two years ago when I saw Jake Shimabukuro on YouTube. From then on I’ve put my full efforts on ukulele. I feel complete now with it, which is something I always felt missing when playing guitar. RGT: You have a number of covers of rock and pop tunes on your YouTube channel. How has the reaction been so far to your uke covers of these pop tunes? Ben Rouse: Mixed really. If you tell people about what you’re doing they normally think it’ll be the same old mass strummed ukulele video and laugh it off. Normally once they realise it’s a little more than that they start to smile. To non-ukulele players, they still just see George Formby and it’s hard to shift that stereotype until they’ve seen you play. RGT: Ukulele has become more and more popular over the past few years. What do you think has contributed to the instrument’s newfound coolness? Ben Rouse: YouTube has been without a doubt the biggest influence on this great instrument. The world being able to see such talent as James Hill, Jake Shimabukuro and all the new rising stars has inspired people to take it and learn to play serious music on it. Before that people generally had no clue as to its real potential. The second being all the ukulele groups popping up. It’s such an easy instrument to start playing. People who have always wanted to learn to play now can and at a group in their town. RGT: Recently RGT has launched a series of graded Ukulele exams. What do you think about the Ukulele joining electric guitar, acoustic guitar and bass guitar in a graded syllabus? Ben Rouse: It’s great. The ukulele can now be taken more seriously and hopefully be seen as a serious instrument by other musicians. RGT: You are going to be presenting clinics at the 2014 RGT Conference in September. Can you give our readers a preview of what you will be talking and demonstrating in those workshops? Ben Rouse: I’m really excited about it. I’ll be talking about how the ukulele has become more than just old stereotypes and will be focusing on all the modern players and styles such as rock, experimental, and clawhammer. RGT: What is your best piece of advice for students that are just beginning to explore the Uke in their playing? Ben Rouse: Watch as many videos as possible, find players you like, and try to learn their styles of playing then experiment. Want to learn more about Ukulele Exams? Check out the RGT Ukulele Exam Pages for more information. 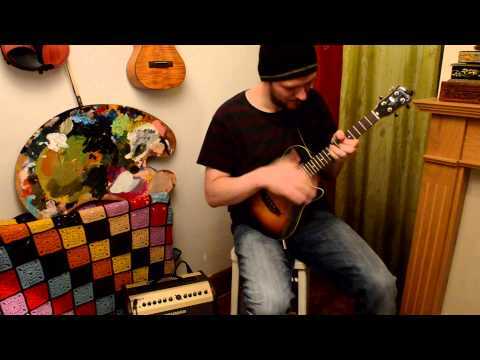 This entry was posted in ukulele exams and tagged rgt uke by Alan. Bookmark the permalink.